Welcome to the bright future in window and door design and construction, Wideline is one of the best known and trusted window and door brands in Australia. We are proud of our 40+ year Australian heritage and reputation for producing architectural products of the highest standard. Dee Glass are an innovative team servicing the Newcastle, Maitland, Lake Macquarie & Hunter Valley regions. We specialise in domestic & commercial glass replacements & repairs, as well as shower screens (framed or frameless), quality Invisi-Gard security doors & safety screens, glass windows, glass splashbacks & commercial shopfronts. Our head office is located in Maitland and we also service the Newcastle, Port Stephens & Lake Macquarie regions from our Dee Glass Newcastle office at Mayfield West. Dee Glass are a family owned and operated business that has been specializing in glass and glazing services for over 25 years. We offer a best price guarantee - If you can find a better price on a comparable product or service, we'll do our very best to beat it for you! You might also be interested to know that Dee Glass & Glazing also offer customers a 6 Point Unbreakable Guarantee which means that you can trust our glazing company with your next home or commercial job. So for all your glass replacements, glass repairs & glazing, security doors & shower screens, call Dee Glass today for a free quote! At Hunter Valley Lattice NO JOB IS TOO BIG OR TOO SMALL ... we undertake both commercial and residential projects in all areas of the Central Coast, Newcastle & suburbs, Lake Macquarie, the Lower Hunter Valley and the Upper Hunter Valley. We have over 10 years experience in the manufacture and installation of Lattice, Slatting, Louvers and Security Doors & Screens. All of our products are manufactured in our modern factory at Weston. We manufacture panels to size and all come framed ready to fix into any location. Panel size is determined by the location and availability of supports, but spans of 3600mm or bigger are possible. FREE measure and quotes are available. Enquires from builders and architects are most welcome. We strive to ensure you of our best service and attention to detail at all times. We also offer discounts to seniors and pensioners, and have EFTPOS facilities available. Hi Point Windows is your solution in the Newcastle/Hunter Region. We are the specialists for premium quality windows and doors and for over 25 years have been manufacturing, supplying and installing only the best for our customers. In addition to our stellar range, we can also custom make windows to your required sizes and dimensions. 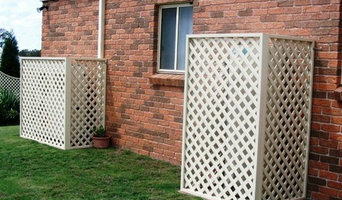 Dedicated to matching the needs of our customers we take pride in offering exceptional workmanship at affordable prices. All of our tint comes with a Lifetime Warranty whilst ever you own the property or business. The warranty is not transferable to new owners. We have nee tinting for over 40 years and have a team of professional tinters who can come to you for a obligation FREE measure and quote. 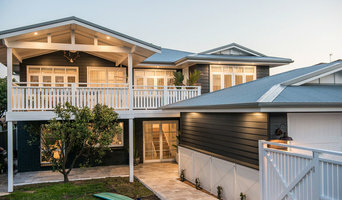 Koala Glass has over 25 years experience servicing Newcastle and the Hunter with a full range of glass repair, glazing and glass installation services. 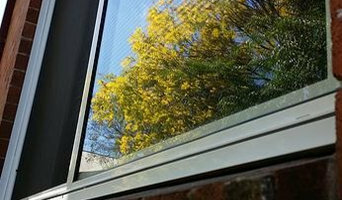 Koala Glass provide glass repair and replacement to domestic and commercial properties, as well as specialising in automotive and marine glass repairs. Koala Glass also offer around the clock 24 hour emergency glass repair services with a mobile team available on call. Window specialists can recommend the most suitable type of window for your home, whether louvre, leadlight or sash, and will advise on the best positioning for style, function and energy efficiency. They can also survey existing windows for rot, improper sealing, worn hinges, and foggy double-pane glass, and will tell you whether or not a window replacement or upgrade will be necessary. The professionals in this category are also knowledgeable in sliding doors, bifold doors, French doors and other paned portals. Your window specialist may also work closely with Newcastle, New South Wales builders and architects. Here are some related professionals and vendors to complement the work of windows: Shutters, Blinds & Curtains, Building Project Managers, Home Builders, Specialty Contractors, Cladding & Exteriors. Find a window professional on Houzz. 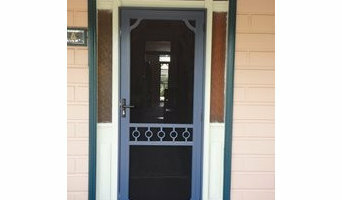 Narrow your search in the Professionals section of the website to Newcastle, New South Wales Windows. You can also look through Photos to find examples of windows you like, then contact the professional who is responsible for them.